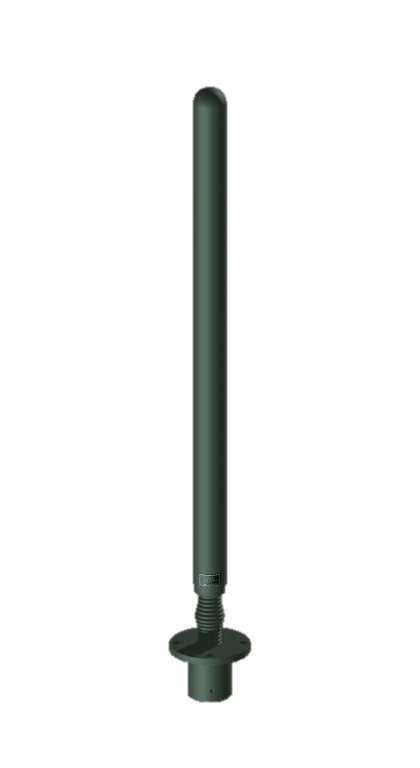 The MVDP100X5-383 GREEN broadband antenna is designed to be used in military, commercial, and other applications where reliability is needed most. This antenna works with all radios within the 100-512 MHz band. The antenna has a band pass covering 100-512 MHz with a single input, at a power level of 75 Watts. A VSWR of less than 2.5:1 throughout most of the band provides and efficient match to all modern military transceivers.